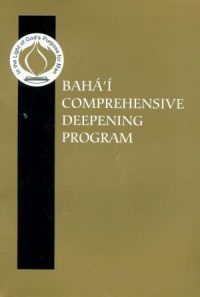 Long-time Bahá'ís will remember the Comprehensive Deepening Program with both fondness and enthusiasm. New Bahá'ís will find in it a truly comprehensive approach to the deepest foundation of the Bahá'í teachings. Rather than focusing on facts, figures, dates and details, this program places these secondary elements "in the light of God's purpose for man." Purpose, Meaning, the exercise of Will and the development of Virtues become the foundation for building a successful Bahá'í life. Presented in a format that is suitable for both study groups and individual deepening, the material is interesting, inspiring, and non-formulaic. 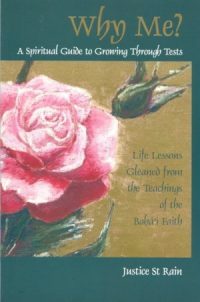 Why Me?- A Spiritual Guide to Growing Through Tests This book explains in a simple, profound and often humorous way, why a kind and loving God will give us tests in order to help us develop our full spiritual potential. 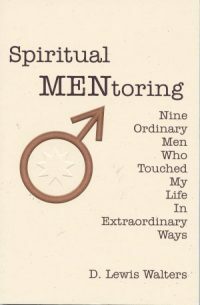 It is the perfect gift for anyone who questions the wisdom, power and goodness of God, or who worries that they are being punished for making mistakes. Falling Into Grace takes an honest look at the many things in the Bahá'í Community that can test your faith . It shines a bright light on these tests, and in illuminating them, it reduces their power. 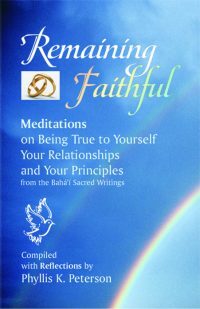 This book says "you are not alone," and, even better, "you are not a bad Bahá'í for struggling with these issues." As the title suggests, we must be willing to fall before we can be lifted up through grace. 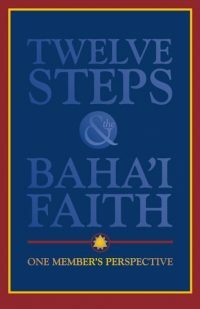 The goal of Twelve Steps and the Bahai Faith is to explain to people in recovery how the Baha'i Writings can help them develop a closer connection to their Higher Power, and to describe to members of the Baha'i Community how the twelve-step program works and what they might gain by joining a recovery group. If someone you love is an alcoholic... This book can accompany you out of your confusion, despair, and hopelessness. It is a dose of sanity that includes resources to lift you and your family up. It will help you regain control of your own life. 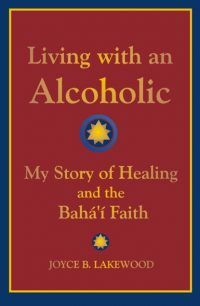 My Bahai Faith - A Personal Tour of the Baha'i Teachings My Bahai Faith is an affordable introductory book written for the kind of people who actually end up wanting to become Bahá'ís. 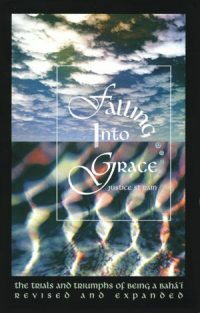 It is by Justice Saint Rain, author of Falling Into Grace, Why Me? 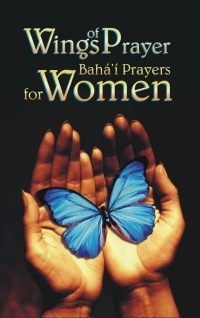 and many other popular Baha'i books. It's warm conversational style has inspired many people to enroll in the Faith. 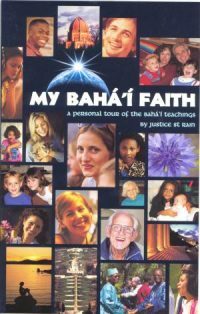 "Thank you Justice for writing the most wonderful Bahá’í introductory book. The approach you have taken is just the kind of approach that appeals to me." Remaining Faithful was created to help people who are struggling to remain faithful to their primary relationship. It is written to inspire rather than shame. We could all use a little inspiration now and then. 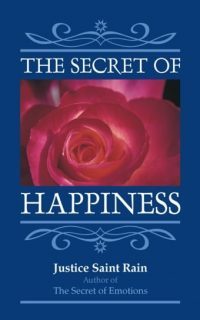 The Secret of Emotions is actually a very helpful guide to understanding the connection between our emotional sensations, and our experience of virtues. 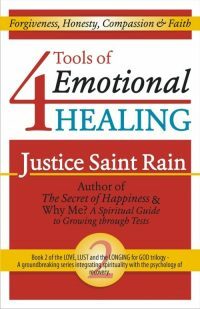 4 Tools of Emotional Healing Though they are not quite the four horsemen of the apocalypse, the painful emotions of shame, anger, loneliness and fear have destroyed countless lives. The need to numb and distract ourselves from them leads us to engage in behaviors that only draw us deeper into shame and isolation. We do not need distractions or drugs, we need healing. This healing is not about solving our problems; it is about making us whole. 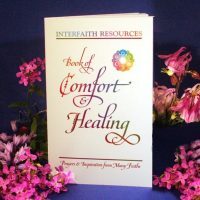 This book explains how the qualities of honesty, forgiveness, compassion and faith can ease the pain of these negative emotions by filling the empty spaces they represent. 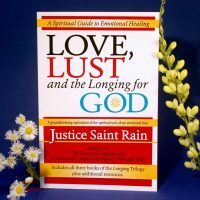 Love, Lust and the Longing for God All three books in the Longing series in one volume. If you are not where you want to be in your life, it is probably because you have allowed yourself to be guided by emotional impulses that you have not understood. 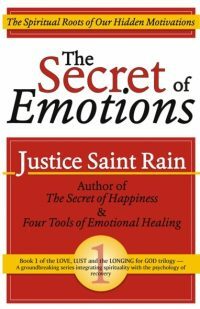 To improve your life, you can choose to ignore these emotions, or you can read this book and come to understand them. You will still have to decide if and when to follow your heart, but at least you will understand the language it is speaking. 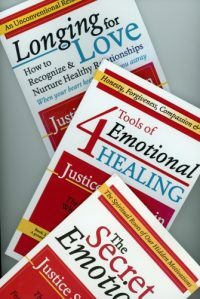 Longing for Love Book 3 in the Longing series, that includes The Secret of Emotions and 4 Tools of Emotional Healing. 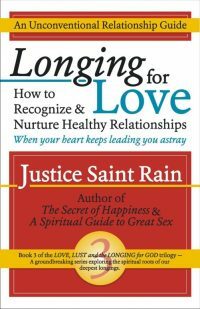 This book is also part three of the combined volume Love, Lust and the Longing for God, which is now available.